Extension supports all office applications (i.e. 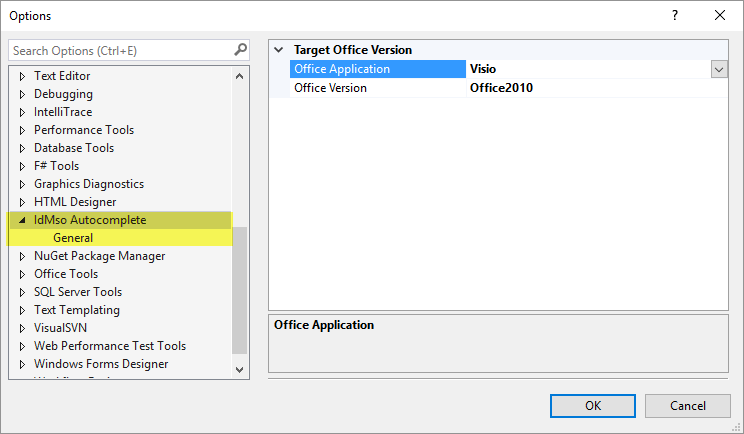 not only Visio, but literally all microsoft office applications) and is enabled by opening ribbon XML file in the Visual Studio editor, which belongs to customUI namespace, i.e. “http://schemas.microsoft.com/office/2009/07/customui”; or previous version. Please see the full list to pick the version suitable for your VS.